Scotland’s elegant capital has apparently seen a property price surge recently. But is this the complete picture? And if you’re looking for a new home in Edinburgh, what’s the best way of going about it? In July 2015, Zoopla figures showed an 8% rise in property values over a 12 month period. 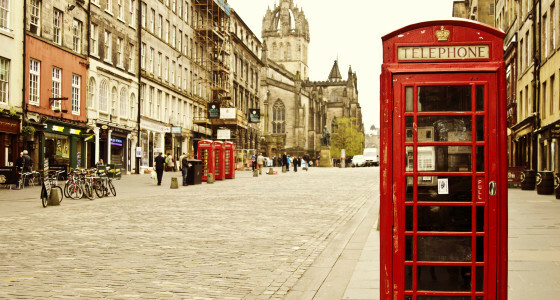 Commentators said that Edinburgh house price growth was ‘catching up with London’ and some attributed the apparent boom to Edinburgh’s status as a capital city and its recovery from the financial crash, as well as an increase in confidence after the 2014 Scottish referendum. If you look over the longer term, Edinburgh prices seem to have been on an upward climb for a while: Home.co.uk’s asking price report shows that average asking prices have increased by 27% from October 2007 to February 2016. In comparison, Glasgow property prices have fallen by 3% over the same period. Is this the full picture? If you dig a bit deeper into the latest figures, things start looking a little more complex. The latest house price report from the Edinburgh Solicitors Property Centre (ESPC) shows that supply certainly seems to have dropped: in the whole of east central Scotland, there’s been a 15% fall in the number of houses for sale compared with the same period last year. The region as a whole has apparently experienced no change in property prices compared to last year, but when you look at Edinburgh city centre the increase in value is significant: an average price of £248,356 in November 2014 to January 2015, compared to £265,324 for November 2015 to January 2016. But during the period up to January 2015, it’s likely there were more properties on the market than usual, as people rushed to get their homes sold before new tax rates became effective. Land and Buildings Transaction Tax (LBTT) came into force in Scotland in April 2015. Under this new legislation, there’s no tax to pay on property prices up to £145,000, but the amount payable on some more expensive houses increases: for example it’s 10% for properties sold for between £325,000 and £750,000. The system is a bit like income tax in that you don’t pay the higher percentage on the whole value (as you did under the old ‘slab’ system of stamp duty), just on the property value that’s over the threshold. The BBC provides some handy examples of how this affects property prices in practice. This new tax system could explain why in March 2015 property prices in Edinburgh peaked, and in the summer the papers buzzed with news of the property boom. It could also explain why the supply in the last few months looks depressed compared to the same period last year. So it may not be as simple as a recent big ‘boom’, but it’s safe to say that property in Edinburgh is expensive, and probably getting more so. If you’re trying to buy in the city, here are some tips. If property prices seem out of your reach, see if you’re eligible for help from the Scottish government, including shared equity and shared ownership schemes. It’s currently quite common for properties in popular areas to sell for well above their guide price, so when you’re house hunting you may need to look for homes that are on the market for less than your maximum spend. Ask estate agents for guidance and check ‘sold prices’ on Zoopla. The market’s moving quickly, so don’t wait until you see a property you like to contact the estate agent: ring round the local agents as soon as you start looking and tell them your budget and what you want, so they can contact you if anything comes up. Download the Rightmove and Zoopla apps for property hunting on-the-go, and set up property alerts so you’ll get emails when something comes on the market that fits your search terms. All the signs show that Edinburgh is a good place to get a healthy return, so consider buying a reasonably priced ‘fixer upper’ and you may make money when you come to sell. If you’re not from Edinburgh, check forums and speak to locals about areas that are reasonably priced but pleasant to live. Make sure you explore an area at different times of day so that you can get a good feel for what it would be like to live there. Ready to move? Our guide will help you sort your finances.